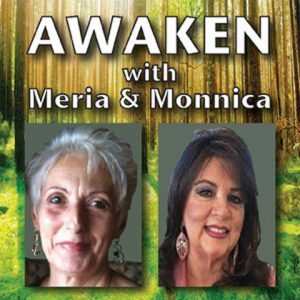 8/22/18 Awaken with Meria & Monnica. Todays topics are words and crystals. Be aware of astrology, not controlled by it; the power of the spoken word; what are you projecting?the brain is a bio-computer as you think, your body delivers; fears and jokes can become reality; negative words you don’t know are negative; what words to lose; the humor of Sebastian Maniscalco;don’t let your emotions control you;Everything evolves including crystals; modern day meanings and uses for crystals;Apache tears,quartz, pearls, moss agate; how to prepare a body for send off with crystals and much more. (my book covers this and more, only available in ebook on site). One Response to "Awaken with Meria and Monnica"